Coventry Lake Community Rowing – Change your perspective. Row. 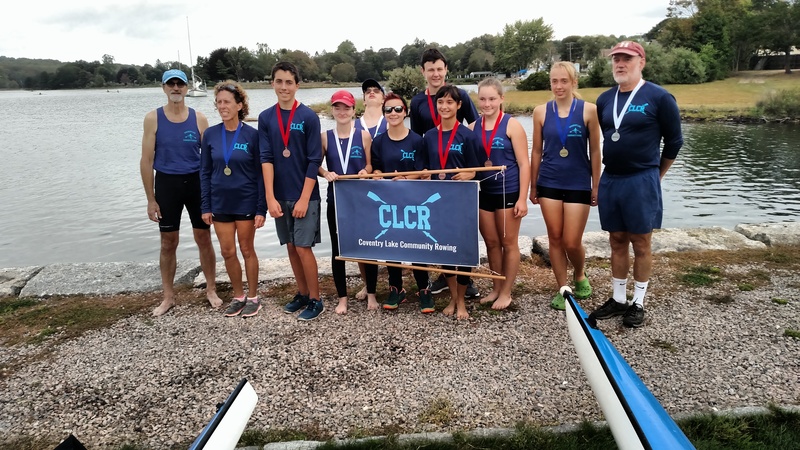 We offer a variety of competitive and recreational programs that are available April through October including Coventry High School Crew Club. Register here for Coventry High School Rowing. We offer a variety of options for adults to learn to row from summer classes that run in the morning and evening to private and semi-private lessons starting in May that are available through early October. For adult who have completed appropriate classes and our required level*, we offer a Captain's program to allow rowers to row on their schedule with a buddy. May - October. Like us on Facebook to be notified of the schedule posting. Coventry Lake Community Rowing (CLCR) is a public program that offers rowing to all. Located approximately 4 miles from University of Connecticut and 6 miles from Eastern Connecticut State University. CLCR is a nonprofit corporation and donations are tax deductible. We welcome new members as well as interested volunteers. Learn how exciting this year is going to be for those who would row for fitness/pleasure as well as those who would compete at regattas. We are located in Patriots Park off of Lake Street in Coventry CT.
We are happy to answer any questions you have. Please contact us today!